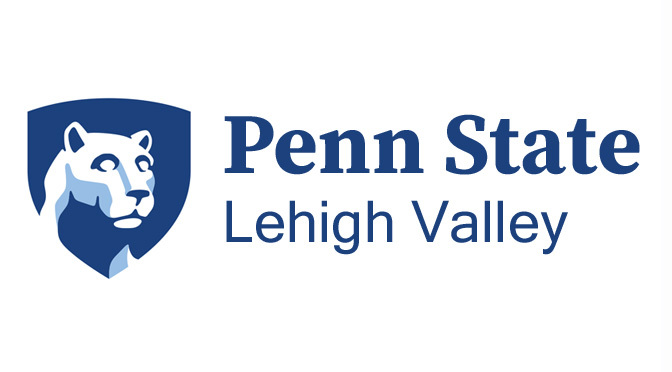 CENTER VALLEY, Pa. (Feb. 12, 2019) – Penn State Lehigh Valley has announced 66 different for-credit courses that will be available for online completion this summer, along with 8 for-credit in-class courses available for students who prefer in person offerings. “Summer courses, whether online or in-person, can help students graduate early or ensure they graduate on time; these courses provide a chance to catch up or to get ahead of degree requirements; and they provide the opportunity to improve your GPA by focusing on one specific course,” said Denise O’Neill, director of enrollment management at Penn State Lehigh Valley. These courses cover a variety of subject areas and will be held during two sessions. Registration is now open. In addition to this listing of summer online courses, there are also various on-campus summer courses being offered at the Penn State Lehigh Valley campus. For a complete listing of these courses, visit the Schedule of Courses website. Current Penn State students may register through LionPATH by selecting the Lehigh Valley campus as the course location. New students can visit the Summer Classes website or call the Registrar’s Office at 610-285-5060 for more information.